Single Display, 7 segment, 4 digit, 0.56” RED LED display. Extra Features Correction factor, Offset & Filtration rate, Range & Decimal Point selectable. Reverse scaling possible. Features : Single Display: 7 segment, 4 digit, 4 1/2”, RED LED displayInput-1 : 0-10V DC / 4-20mA / .. 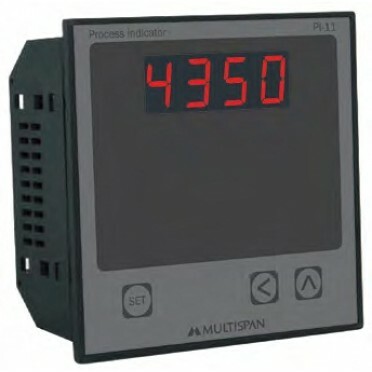 Features :Single Display: 7 segment, 4 digit, 4 1/2”, RED LED displayInput-1 : 0-10V DC / 4-20mA / 0..